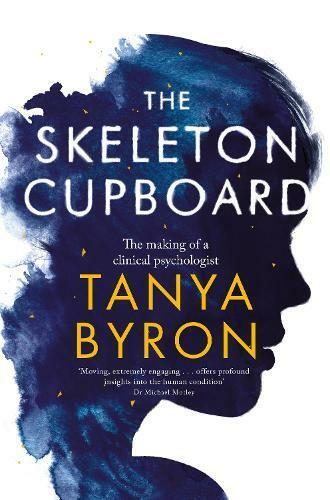 Inspired by Professor Tanya Byron’s years of training as a clinical psychologist, The Skeleton Cupboard offers extraordinary stories of ordinary people struggling to cope with the challenges of life. Through them we attempt to understand the line between sanity and insanity - and come to realize that it does not exist. The most fragile, vulnerable people can still offer strength and wisdom. Those hardened by cruel circumstance can show real kindness and compassion towards those who treat them. And those of us who outwardly appear untroubled can mask an inner life of turmoil. With startling poignancy and powerful, affecting storytelling, this book is a testimony to anyone who has strived to make the journey from chaos to clarity. A gruesome family death set Tanya Byron on the path to becoming a child psychologist, a journey she describes in her new book. How did you get here? Why now? What is your story and how would you like it to continue? For 25 years, psychologist Prof Tanya Byron has been asking these questions of her patients to help them ‘make that journey from chaos to clarity’. Last year, while writing The Skeleton Cupboard, a memoir of her early years training as a clinical psychologist from 1989 to 1992, she asked herself: ‘I first became fascinated by the frontal lobes of the human brain when I saw my grandmother’s sprayed across the skirting board of the front room of her dark and cluttered house. I was 15,’ she writes in the introduction to her book. 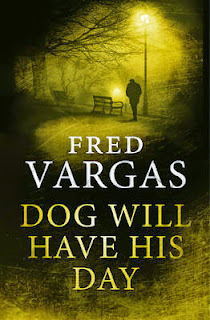 This is the second instalment in the chilling Three Evangelist Series, from quadruple CWA International Dagger-Winning author Fred Vargas. Louis Kehlweiler has been a powerful investigator with the Ministry of the Interior. Since he was sacked by newcomers who didn't respect his powers he has still kept up his investigations with the help of his old cronies, with Marthe, an elderly prostitute, leader of the band. He still uses the park benches of Paris as his lookout posts which he has numbered for convenience up to 137. One problem is that Marthe is getting old and confuses 102 for 107. Louis is also showing the strain and now that his latest girlfriend has left, the "love of his life" is Bufo, a toad that he carries with him almost everywhere except cafè's where Bufo gets a bit panicky and would do the same to the patrons. Spying through the windows of a Paris flat belonging to a politician's nephew, Louis Kehlweiler catches sight of something out of place down on the footpath - an object, small and white, surrounded by dog poo. A human bone! But when Kehlweiler takes his find down to the local police station, he's ridiculed and teased. Yet this tiny fragment obsesses him so much that he starts to investigate, following the trail to the tiny Breton fishing village of Port-Nicolas where there's a dog. A dog that would take a bite out of anything. Even the foot of a corpse. However, where is the corpse? Or the murderer? This week it's the Jazz Festival! Tune in at the earlier time of 6PM for a special pre-festival show. we'll be attending a few of the concerts and reporting back next week but for now we'll give you a run down of what to see and groove to. Tune in from 6.00PM.